A blog for nail polish £5 and over. Is there really such a thing as a boring nail polish???? Lol as you can see I popped this on top of Ferris Wheel. This is easy to use, easy to apply and okay drying. You get pretty good coverage with one coat, but I had to dab a few bits. Pretty glittery! Lasted well. 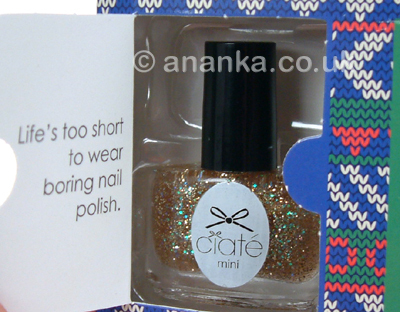 My Personal Rating = 8/10 lovely glitter top coat, what's not to like??! Your choose of the colour is great here.